Make your gift one to remember and that keeps giving where needed most. Need a birthday or thank you gift? Honor a friend or family by giving to MAESSR in their name. We will acknowledge all donations with a card. Please be sure to supply the name and address of the individual to receive the card. PLEASE NOTE: If this is a gift in honor of someone, in memory of someone, or in honor of a special occasion, PLEASE click the note to seller in paypal and tell us who you are honoring and who you would like us to notify that you have donated in their honor. Gifts are designated in $25.00 increments up to $125.00 on this listing. If you'd like to give another amount, please go to the donations page and indicate it is a gift donation, being sure to give the name and address of the recipient. 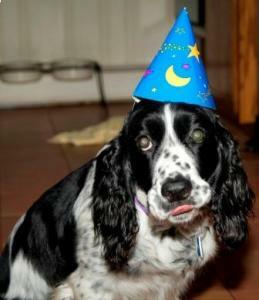 Thank you for making a difference in a Springer's life!